Improving the health of our communities through education, health promotion and disease & injury prevention. To submit a complaint regarding public health issues, please complete the following form and return to our office. All complaints must be submitted in writing. March is Colorectal Cancer Awareness Month. 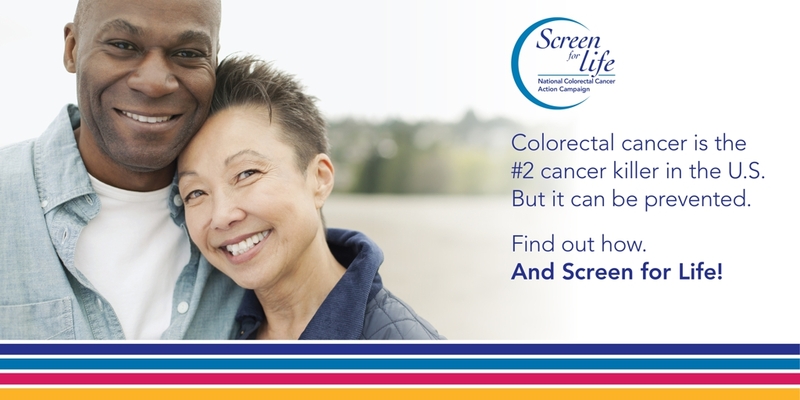 Colorectal Cancer (CRC) is the second leading cancer related death for both men and women in the U.S.
Our public health nurse will be administering vaccinations in your community on the following days. Student consent forms will be sent to your home or will be available at your school. Adults in need of immunizations are also welcome to participate. To be better prepared to serve you, please contact our office if you have a specific vaccination need. Spring 2019 immunization clinics dates are listed below. DipfreeTXT - "Dip" (Chew, Smokeless) Cessation for Youth from the SmokefreeTeen.gov site. KilltheCan.org - A resource to quit dip and chewing tobacco. Kill the Can Alternative Dip Reviews - Using nicotine free dip/chew can provide an assist with other quitting interventions. This website, run by a support group for smokeless quitters, provides a wide range of information about alternative chew products. To submit a complaint of violation of the Clean Indoor Air Act, please follow the link below and complete the online form.